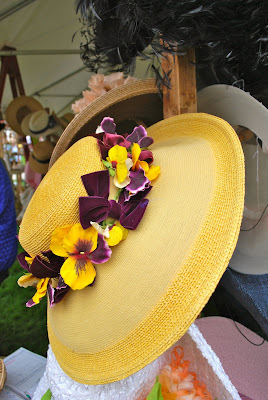 There certainly has been a lot of talk and renewed interest in hats since the royal wedding last month. 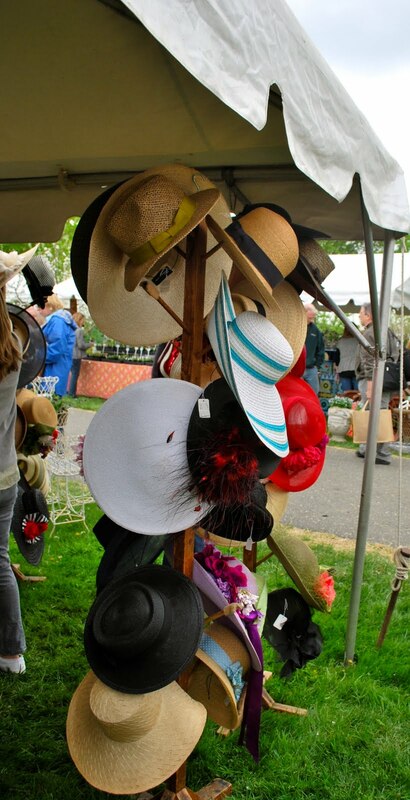 I personally love hats but never seem to be able to pull them off. If I purchase one, it is usually when traveling and I am caught up in a moment. 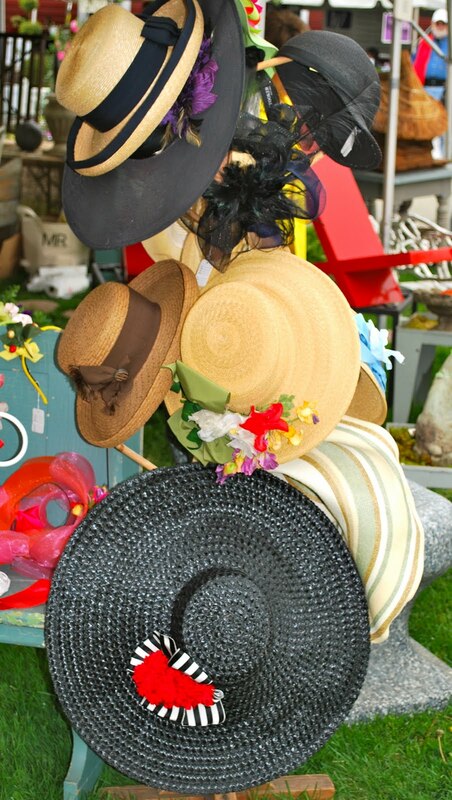 I then arrive home and the hat never seems to make it out of the closet. 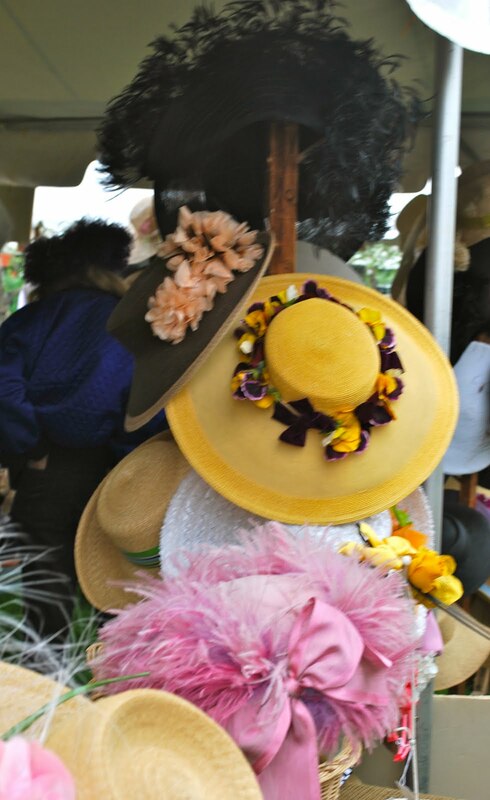 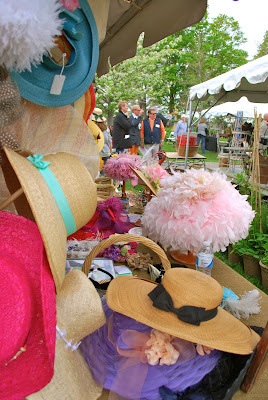 This past weekend at the Trade Secrets Plant and Antique Sale it was fun to see one of vendors with a great selection of hats. 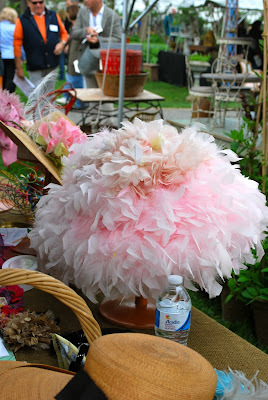 Such fun trying them all on and day dreaming about running about being very chic with a cool hat placed on my head .....oh well no royal weddings for me this year but the big pink fluff was quite spectacular!